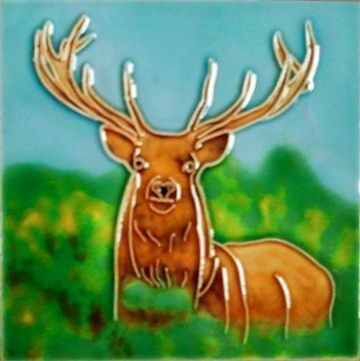 Decorative Ceramic Wall Tile Plaque 4"x4"
A hand painted coaster ceramic tile featuring a Red Deer Stag. One of the most magnificent animals to be found in the Scottish Highlands. A dramatic pose from the Stag, and a great coaster tile for all animal lovers.